Is your Toronto Basement Apartment Legal or Illegal? IS MY TORONTO BASEMENT APARTMENT LEGAL? You might have heard some way or another over the years about issues with people renting or living in “illegal” basement apartments. To many people this issue will not affect them during their lifetime, whether they are tenants in a basement apartment, or they are landlords renting out a basement apartment. That is until god forbid a fire or flood happens in the home. This is where its important to be aware of all the factors involved with basement apartments in Toronto and surrounding areas. Almost any area in Toronto and surrounding areas have homes with either rooms or basements rented out to tenants. When people don’t use their basement, it can be a waste of space for some so they decide to rent it out to receive an income to help pay for their mortgage or utility payments. In today’s housing market this can be a very good idea, and could enable you to afford that larger home you always wanted. What conditions must be met for the basement apartment to be considered legal? If you are thinking about buying a home with a basement apartment, these are requirements you will need to confirm are met in the particular home. Studies have shown that about 80% of all rented basement apartments in Toronto Ontario are considered illegal. Before buying a home ask your Realtor to see if the basement apartment is legal and request an inspection to confirm the status. You will need to contact your local city hall to find out all the requirements needed for your dwelling unit to be up to code. Inspection for fire code compliance cost around $120 to $300. Inspections for electrical safety cost around $80. Why should you be worried if your basement is considered illegal? In 2013, a young woman in Toronto was killed when her boyfriend could not rescue her from the couple’s burning basement apartment. Two years later, the owner of the illegal rooming house was found guilty of multiple fire code violations and fined $75,000. He was also given 18 months probation with conditions including not possessing or managing a rental property. This was an unfortunate situation that happened, of course it is extremely rare however it is in everyone’s best interest to protect themselves if anything like this ever happens. If a home owner does not disclose to their home insurance company that they have a rented basement apartment, they could be fined or can loose their home insurance all together. And those who are living in illegal basement apartments won’t be able to get renters insurance for their belongings. These fines can range from $500 to $5000, and can be increased if people are caught not complying with orders. Any tenant may make a request to the city for the basement apartment to get inspected. Getting caught with an illegal apartment could result in you having to transform the home back into a single family dwelling, and can result in you having to legalize the apartment which can take a lot of time and money to do. 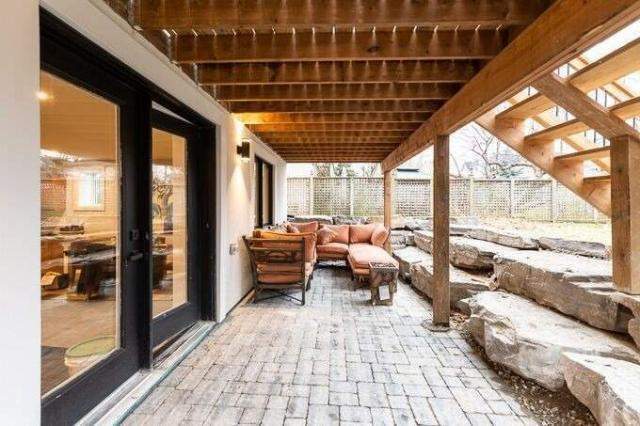 Many MLS listings with a basement apartment that is not legal will show the term: “Seller and sellers agent do not warrant the retrofit of the basement apartment”. This means the seller and sellers agent are aware that the basement apartment is not registered and are doing their due diligence to inform any potential buyer that the apartment is not legal. Before buying a home make sure to do your homework and ask questions. If you are considering doing renovations and making a basement apartment there are many requirements that must be met and they slightly vary by every municipality. If there’s a small discrepancy in any of the above requirements, you may be able to apply to the Committee of Adjustments for a minor variance (in other words, exception) – but note this will take time and likely cost money. Before making any decisions, its always wise to ask your Realtor questions and do your due diligence to protect yourself, so you don’t face any problems in the future. I will be glad to help you out, my contact information is here.